How do I ensure my business is validated and ready to work with the public sector? Ensuring your company is ready to do business with the public sector is now more important than ever. As competition grows and public sector budgets shrink, you will be under increasing pressure to ensure your business stands out from the crowd.  Select Accredit offers a cost-effective and simple to use service that will give you a competitive advantage over other suppliers in your market. The service offers you independent third-party accreditation which denotes your business readiness to contracting authorities procuring with Delta eSourcing. Recognition as an accredited supplier to the public sector. Automatic reminders to ensure your key data is up to date (e.g. insurance). Competitive advantage by being business ready. A cost-effective method of marketing your business. Value for money – annual subscription prices are based on turnover and start from as little as £90 + VAT. In order to attain Select Accredit status you will be required to submit documentation to support your application, including up to date copies of your annual accounts, insurance cover, health & safety policy, equalities policy, environmental policy, references, VAT registration certificate and certificate of incorporation. To apply for Select Accredit, simply log into or register on Delta eSourcing and then choose the Select Accredit link to complete the online application and provide the relevant supporting documentation. When you have completed the application form you will receive an email from the Helpdesk with instructions on how to progress your application.